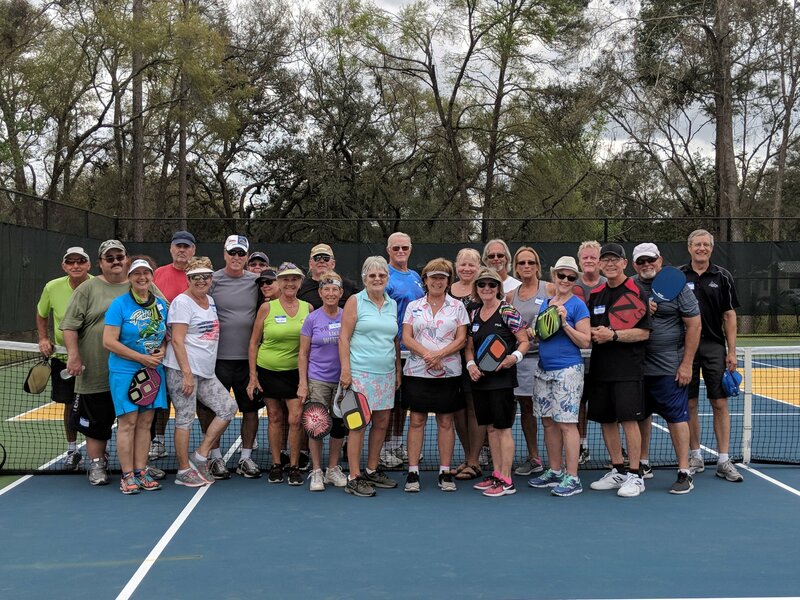 Pickleball Cookout at Rolling Greens, Ocala. Did you know that living in an active adult community can change your life? Studies show that activities and events can have numerous cognitive and health benefits for seniors. Here are 5 reasons you should not only live in an active community, but get involved too! Research shows that people who have more fulfilling relationships tend to sleep better than those who don’t. If you’re experiencing insomnia, try getting involved in the community. Getting active and on a regular schedule will help you to reset your internal clock, which will also help you sleep more soundly. Try going to some activities in the community that happen at the same place and time every week. It will give you a schedule, and help keep you accountable. Did you know that research has proven people who stay mentally engaged can prevent the onset of dementia and Alzheimer’s disease? Newby Management community’s like Rolling Greens host numerous events that can get your mind going. Activities like book club, card games or woodshop can teach you new skills, revive your interest in books, and keep your mind sharp. Rolling Greens keeps the calendar full, and even has an on-site social director to plan events. Communities like these will help keep your mind in shape! In one study at Rush, researchers followed about 800 people, all about age 80, for four years. The participants had no signs of dementia at the beginning of the study, but some described themselves as lonely and tested positive on a “loneliness scale.” During the study, 76 people developed Alzheimer’s-like dementia. People with the highest scores on the loneliness scale had more than twice the risk of developing dementia as those with more social connections who had scored lower. Get out there and active, because studies show that getting out and having people around you makes your immune system function better. As humans, being active and social is an important part of our overall health, so important, in fact, that it literally affects how our body operates. Stay healthy and find some new friends to have fun with. A strong social circle can actually increase the length of your life! Even more importantly, it’s actually friends, not family, who give you the boost. The Australian Longitudinal Study of Aging studied the effects of friendships on health and aging. Older adults with the strongest network of friends were 22% less likely to die during the study than those with the weakest network of good friendships. My favorite part of this article is when you cited that a strong social circle can actually increase the length of your life! I certainly agree with you since it is important that we are surrounded by supportive and loving friends and families! And surely, this could result in happy and healthy life!